BISOU BISOU IS A COZY & intimate RESTAURANT LOUNGE LOCATED IN FORT GREENE BROOKLYN SERVING SMALL(ish) PLATES OF MEDITERRANEAN INSPIRED CUISINE PERFECT FOR SHARING AND PAIRING, FEASTING AND FÊTING. 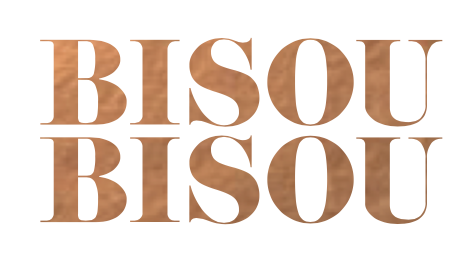 ESTABLISHED IN 2016, BISOU BISOU is owned BY MICHELLE REID A FORMER TV DEVELOPMENT EXECUTIVE AND FASHION EVENT PRODUCER who OPENED BISOU BISOU TO SHARE HER PASSION FOR FOOD, WINE, MUSIC AND the community. together with her talented young chef kyle fedus and her delightfully dynamic staff, michelle has created BISOU BISOU to be AN EXTENSION OF OUR LIVING ROOM WHERE WE SPOIL OUR GUESTS WITH YUMMY FOOD, DELICIOUS WINES AND A WARM, RELAXING AND FAMILIAL VIBE. BISOU BISOU: A LOVE AFFAIR WITH FOOD & FUN. Ask about our delightfully delicious daily specials. Our wines are made by artisans who produce fine, natural, biodynamic or organic wines with low intervention in the cellar. There's no signage so look for a chocolate brown store front with colorful string lights outside. Bisou Bisou is located in the heart of Fort Greene, Brooklyn. Just steps away from the C, G, B, Q, N, D & B trains and minutes to the Brooklyn Academy of Music (BAM), The Barclay's Center and Fort Greene Park which is just one block north. Let's get social! Follow us for a peek into our world of good food, good wine and (really) good fun. Living it up in Fort Greene, Brooklyn.